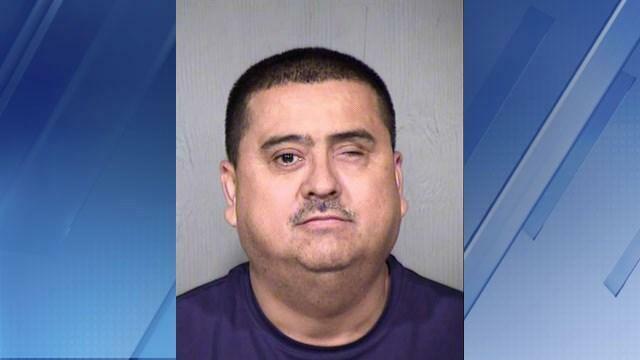 PHOENIX -- A Phoenix pastor is accused of molesting girls, including several that went to his church, and impregnating a girl who may have been as young as 13, reports CBS affiliate KPHO. Jose Vicente Morales, 49, was arrested Friday. According to court documents obtained by the station, there are at least five alleged victims that he knew through his church or already knew outside of the church. Police opened an investigation when a 17-year-old girl who attended his church told her mother she was hurting herself because of the sexual abuse by Morales five years earlier, court documents said. In the documents, police allege Morales impregnated another girl when she was 13 or 14 years old. Another girl said she was sexually abused from when she was 7 years old until she was 12, while Morales was her pastor. She said Morales assaulted her while she was sleeping over at his house and another time while she was swimming in his pool, court documents said. An 18-year-old who also reportedly attended Morales church said he lured her to his house and touched her inappropriately. Court documents said in another incident, Morales went to the victim’s house and sexually abused her, the station reports. Court documents say Morales admitted to a sexual relationship with the 18-year-old but denied the other allegations. He was held on one count of molestation of a child and one count of sexual conduct with a minor as authorities continue to investigate the other allegations.